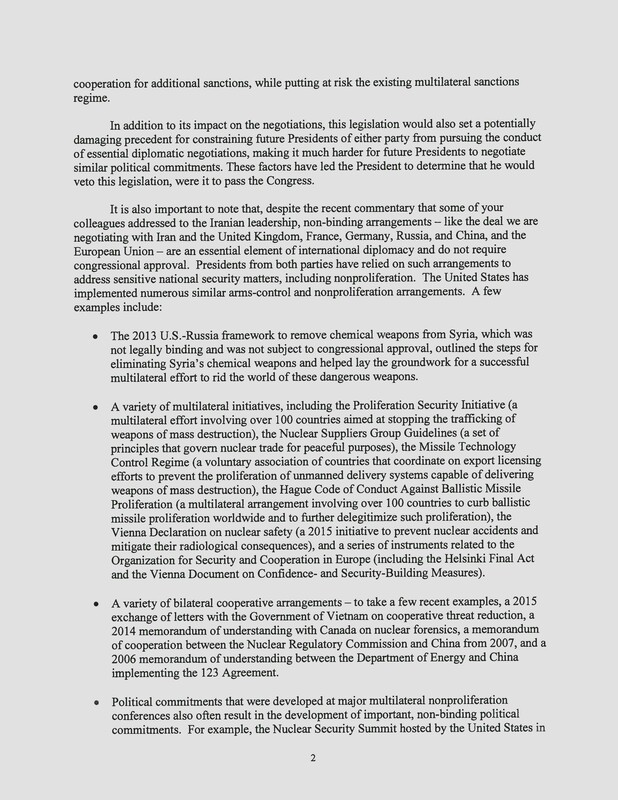 White House Chief of Staff Denis McDonough sent a letter to Senate Foreign Relations Committee Chairman Bob Corker on Saturday evening warning Congress to hold off on legislation that may interfere with a final agreement on Iran’s nuclear program. 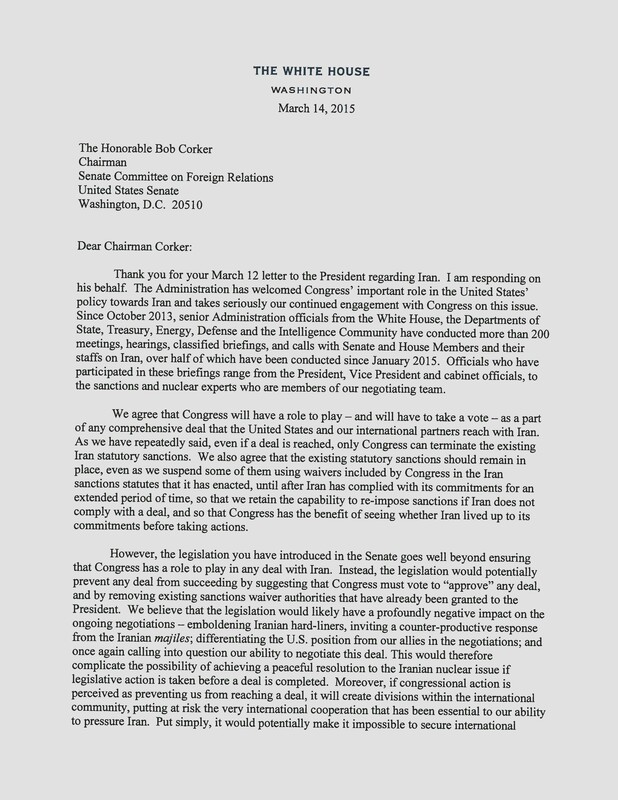 The letter was sent on the heels of another letter sent this past week by Sen. Tom Cotton (R-Ark.) 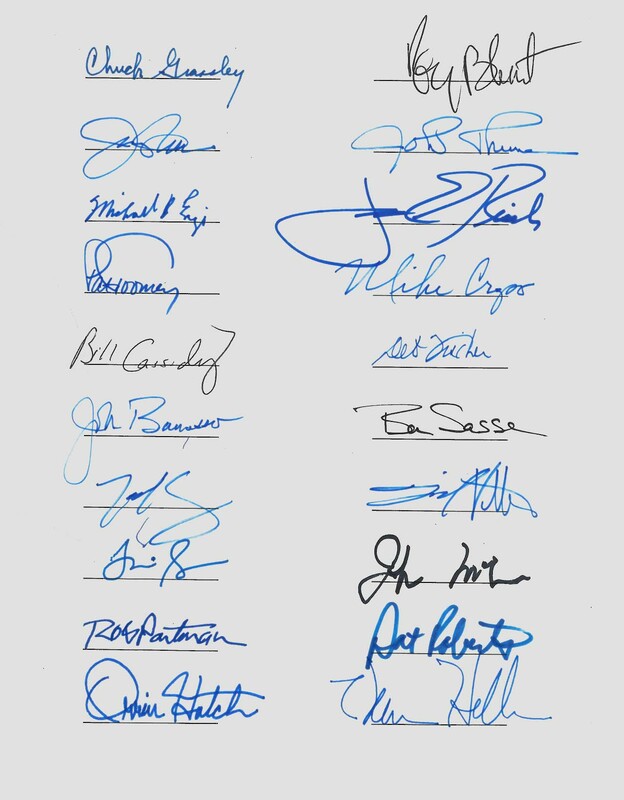 and signed by 46 other Republican senators, to Iranian leaders. 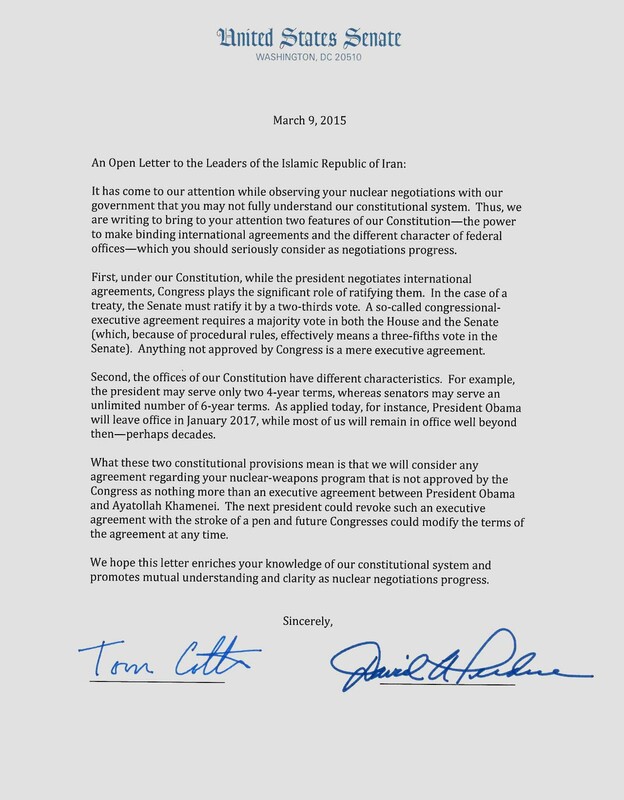 The open letter to Iran asserts that Congress must have a say in approving any negotiated agreement on their nuclear program and warned that it could expire when President Obama leaves office. Democrats and some academics say the letter undermines Obama’s — and future presidents’ — ability to set foreign policy, the Associated Press reported. 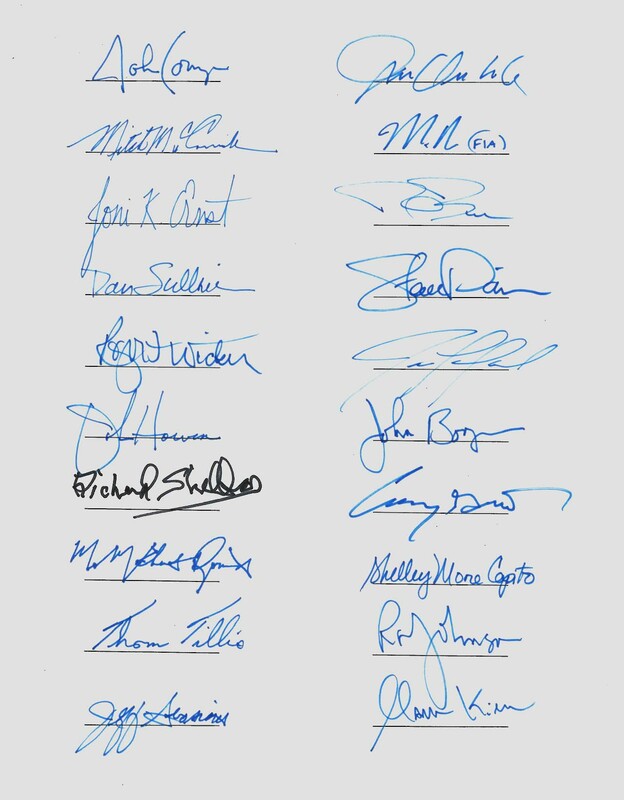 Republicans have defended the letter, saying they must take dramatic steps to demand a voice in negotiations, because they fear Obama will be too soft on Iran. 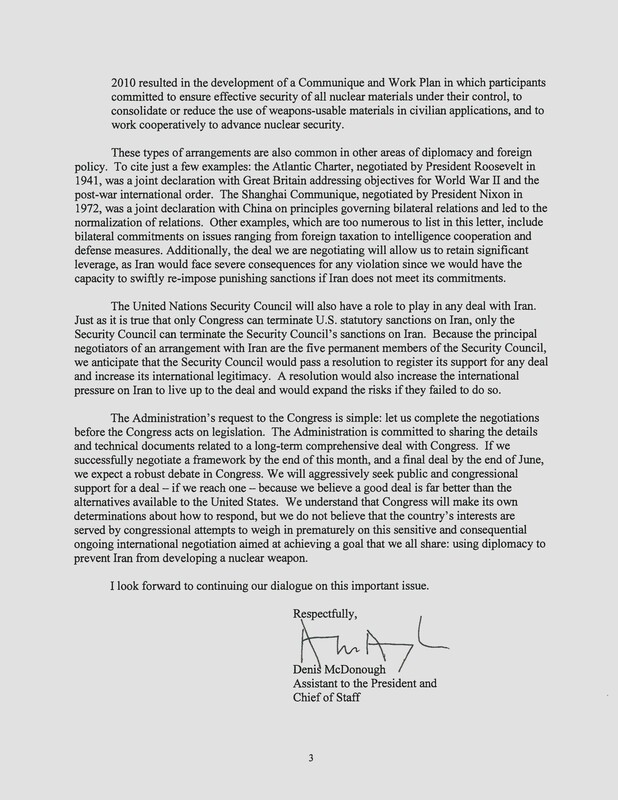 Secretary of State John Kerry said he doesn’t know yet whether the letter sent to Iranian officials by Senate Republicans has jeopardized the talks, but said he has no doubt that it was calculated to interfere with negotiations.